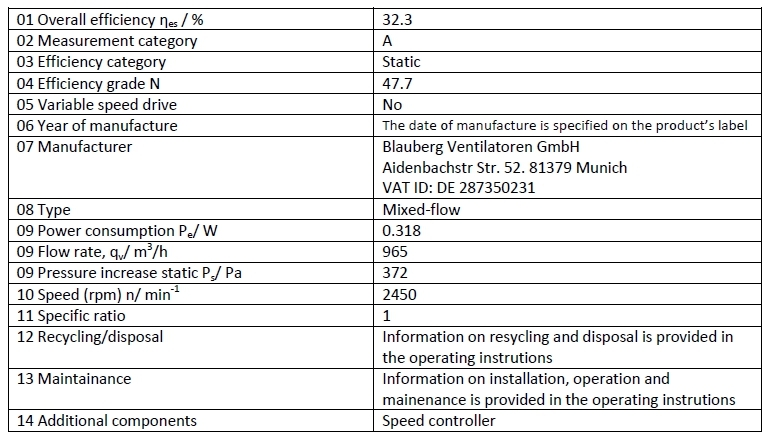 Inline mixed-flow fans. Maximum air capacity up to 1750 m³/h. Supply and exhaust ventilation systems installed in various premises. Mounting in kitchens, bathrooms and other humid premises. Ventilation air ducts requiring high pressure, powerful air flow and low noise level. 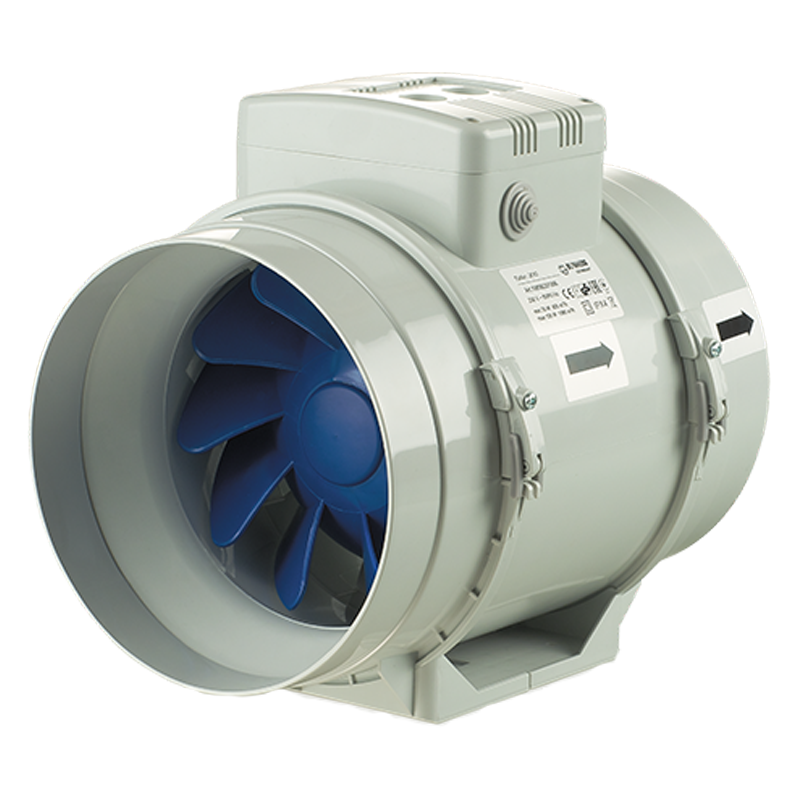 Compatible with Ø 100 up to 315 mm round air ducts. Casing made of low-flammable polypropylene. Ventilation unit with terminal box. Can be turned to any position.Special casing design permits easy dismantling of the impeller and motor block for fan servicing without dismantling the air duct. The options G and GI are used for automatic speed control depending on indoor temperature. The best ventilation solution for premises requiring permanent temperature control as greenhouses, orangeries, etc. W – the fan is equipped with a pre-wired power cable and IEC plug as a standard. Modification with a standard electric plug is available (W1). max – high-powered motor.